When you donate to Founders' First Freedom, you are joining a community of supporters who believe in a lay-directed, independent source for news about the legal issues and the larger society. We do in-depth research from an objective standpoint that you won't find elsewhere. Now more than ever, our readers rely on ReligiousLiberty.TV to better understand today’s complex news and its intersection with law, faith, and society. We couldn’t do this work without your help. Thank you! Founders' First Freedom is a Section 501(c)(3) charitable organization and all contributions are tax-deductible. Our EIN is 20-8189620. 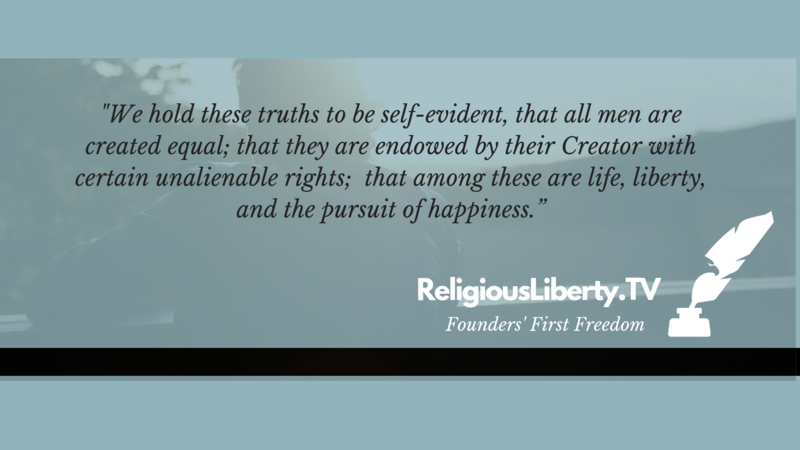 To learn more about Founders' First Freedom, visit FoundersFirstFredom.org.